Found 19 file extension associations related to ICQ for Mac and 16 file formats developed specifically for use with ICQ for Mac. With more than 400 million instant messages sent and received every day, ICQ has been known to the online community as a messaging service. Today, a little more than a decade after the first ICQ instant messaging service was launched it has become much more than just that. 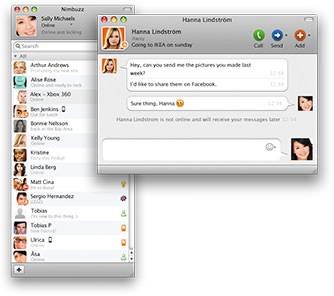 ICQ is a personal communication tool that allows users to meet and interact through instant messaging services such as text, voice, video and VoIP as well as various entertainment and community products. If you need more information please contact the developers of ICQ for Mac (ICQ LLC), or check out their product website.